Jeep is upgrading the diesel engine in its Patriot with a more powerful unit that has more torque and improved fuel economy too. The current 2.0-litre Volkswagen engine has been dropped in place of a 2.2-litre CRD engine sourced from Mercedes-Benz. With 163bhp on tap, the common rail engine has 23bhp more power than the Volkswagen unit, 10Nm more torque and can average a claimed 42.8mpg. Trim levels for the Patriot have also been improved. As well as the fuel efficiency increase, CO2 emissions are further reduced. This leads to a lower tax band (H) which in turn reduces both showroom tax and the annual tax rate. 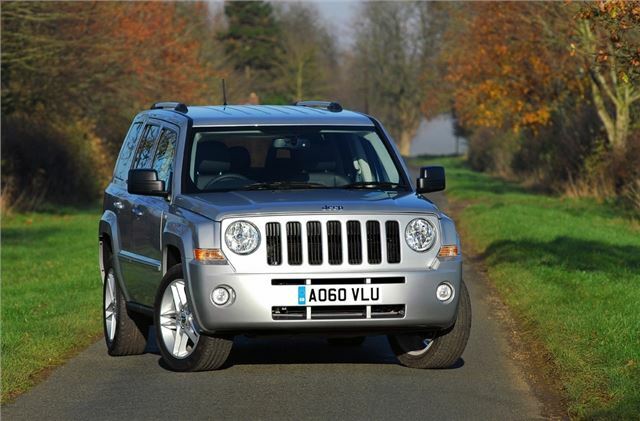 The more powerful engine increases the vehicle's maximum speed from 117mph to 125mph and reduces the 0-62mph acceleration time to 10.7 seconds, but it also cements Jeep Patriot's position as a serious towing vehicle, elevating its maximum towing weight from 1500 kg to 2000 kg with a braked trailer. Compared to the outgoing vehicle, Sport trim now offers improvements such as body coloured door handles, Hill Start Assist, leather wrapped hand brake and ‘active' head restraints (front row). Compared to the previous car, Sport + versions now offer cruise control, deep-tint sunscreen glass, leather-wrapped steering wheel with audio controls, uconnect phone (Bluetooth handsfree communication and Voice Command) and a rearview auto-dimming mirror with integrated microphone. Limited models add Hill Start Assist, leather wrapped hand brake, ‘active' head restraints (front row) and a six-way power driver seat, while the Overland version also gets a raft of high tech and luxury features including 18-inch aluminium wheels, premium leather trimmed seats with embroidered ‘Overland' logo, additional front seat side airbags, rear park assist, tyre pressure monitoring display and chrome finish door sill scuff plates.